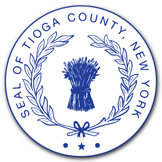 Welcome to the Tioga County, NY website. This mobile site is optimized for browsing on small devices such as smartphones and tablets. Please use the menu at the upper right or the elements below to navigate. Want to receive email updates when new information is posted to this site? Enter your email to receive notices for many items such as meeting notices, job postings, bids and more. Already subscribed? Login to modify your account settings.